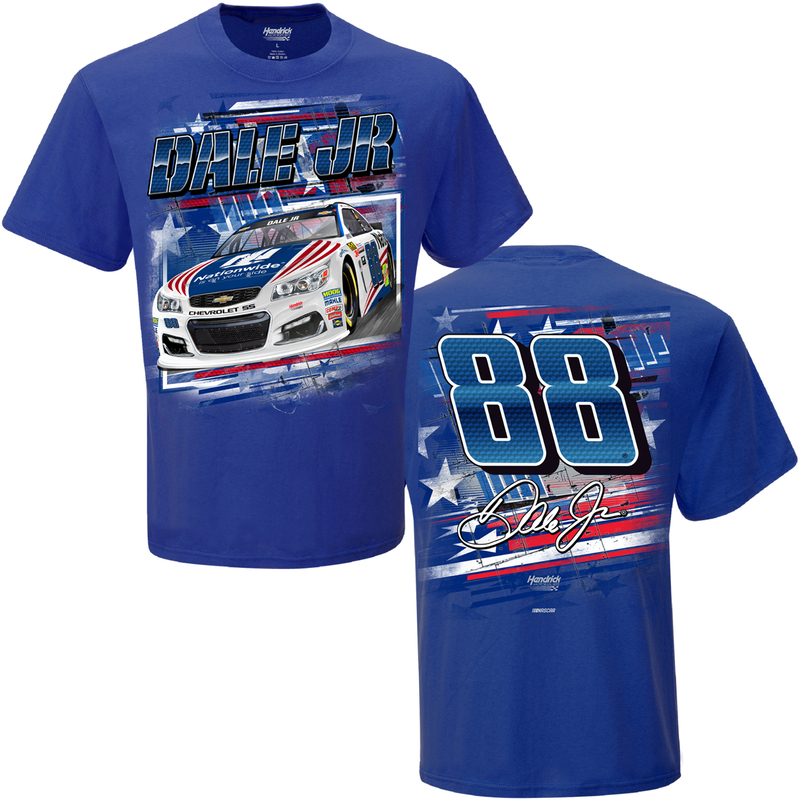 Join Dale Earnhardt Jr. as he salutes America this Memorial Day Weekend with a special paint scheme in Charlotte, NC. 100% cotton t-shirt includes images of this special paint scheme and driver and team logos. Great quality and speedy service . Ordered multiple items and pleased with all except the kids sized shirt that was sent by mistake . Having ordered many items from this site over the years, I can say I've never had a problem or issue with anything received, great service, great items, great driver! !